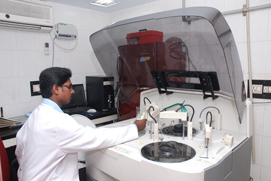 This unit is also capable of handling all cytology tests including papsmear & other speciality tests are also being done through SRL laboratories. 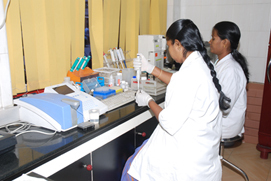 A separate microbiology unit is there to handle all types of cultures. 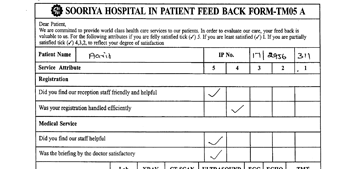 The staff therein is well conversant with intricate test procedures to be undertaken for patients for accurate diagnosis ensuring absolute reliability. 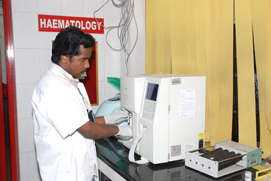 The laboratory is handling large number of cases with high efficiency having smooth co-ordination with other departments making work transition smooth and speedy without any kind of hassle. 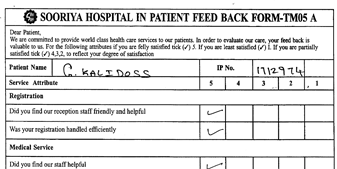 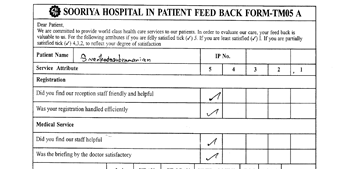 The patients are subjected to wholesome approach to care and devotion with the trial of new lease of life and hope with smiles and caring hands around them.